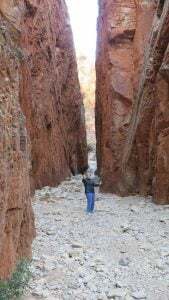 Almost to the end of the majestic Standley Chasm! 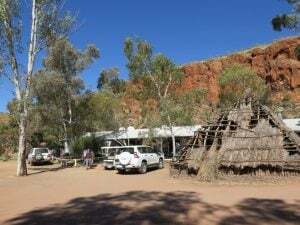 An early start today for our coach tour to the West MacDonnell Ranges, and our first stop will be at the Standley Chasm, one of my favourite places that we have visited in the Northern Territory. 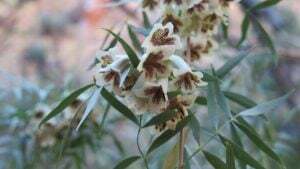 Called Angkerle by the Aborigines, the Chasm’s European name honours Mrs Ida Standley who, in 1914 became the first school teacher in Alice Springs. In 1925 the school for children of Aboriginal descent was moved from Alice Springs to Jay Creek [ Iwupataka] with Mrs Standley as matron. 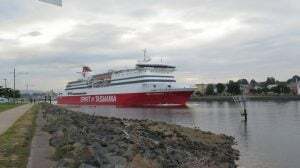 It was during her time at Jay Creek that she became the first non-Aboriginal woman to visit the feature that now bears her name. Standley Chasm (Angkerle) is Aboriginal Land and is part of the Iwupataka Land Trust and is bordered by the West MacDonnell National Park. 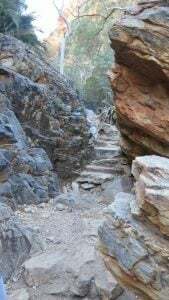 A relatively short and easy drive from Alice Springs, Standley Chasm cuts through the tough quartzite to form a picturesque natural alleyway. 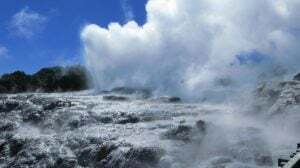 Surging flood waters over thousands of years are responsible for this beautiful site, which is at its most impressive in the middle of a sunny day. As the light shifts across the cleft, visitors are treated to a magnificent display of colours and forms. 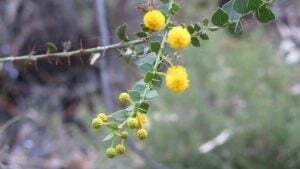 The reliable trickle of water has ensured the survival of species from a time when Central Australia was a lusher place. Several walks depart from this area. 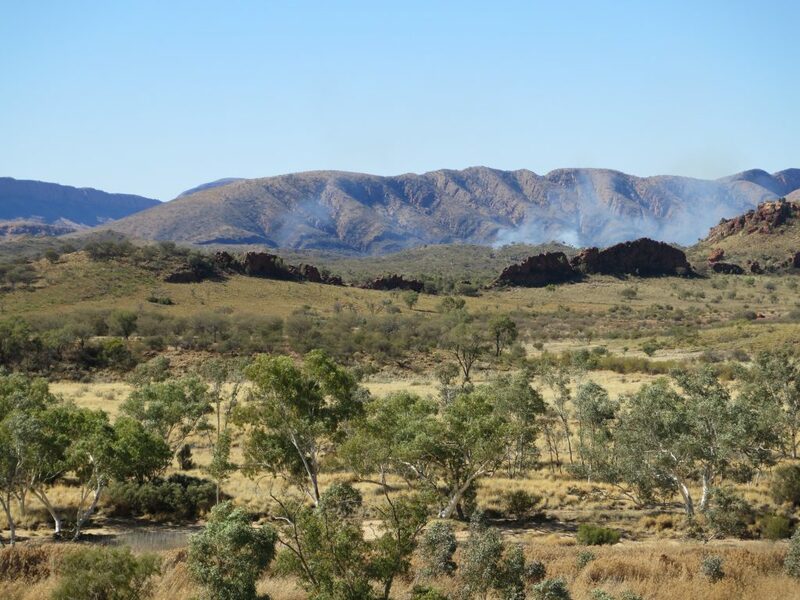 The Larapinta Trail section 3 and 4 heads off to the west and the east. There is also the notable walk up into the Chasm. 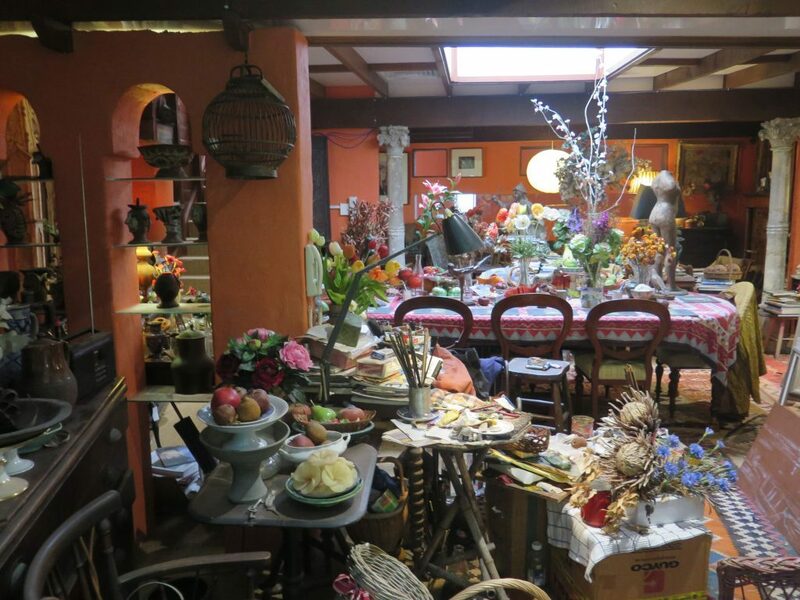 This is traditionally done around midday when the overhead sun lights up the chasm. Walking into the chasm in the morning or late afternoon can also be rewarded as wildlife are more active at these times. 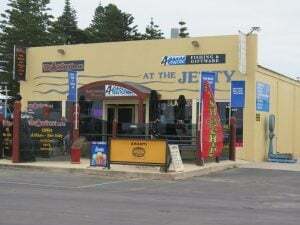 There is another short walk that heads up westwards from the back of the Kiosk. 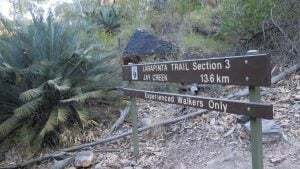 The walk climbs up a valley and finishes on a saddle with spectacular views of valleys, creeklines and mountains off to the west. 20 minute one-way Standley Chasm walk is a scenic walk through a rocky, shaded gorge. 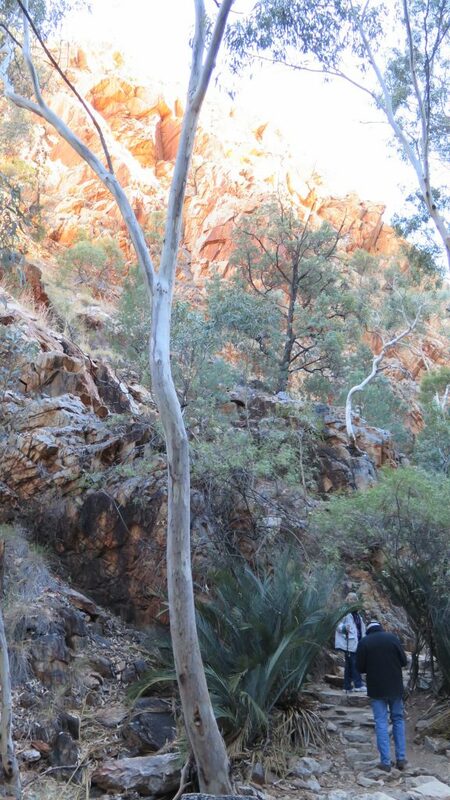 The rare MacDonnell Ranges Cycads are common in this special, sheltered gorge. The small Black-footed Rock-wallabies are also common, feeding on grasses and if you’re really lucky you may see them feeding on the cycad nuts. The quartzite cliff faces provide a protective home to many of the West Macs most rarest plants. The walk closes in as you approach the chasm area. A chasm is a narrow gorge or slot in the range. Midday provides the best opportunity to see the effect of the overhead sunlight on the chasm walls. The walls blaze into an unbelievable reds and oranges, accompanied by the oohs and aahs of visitors. 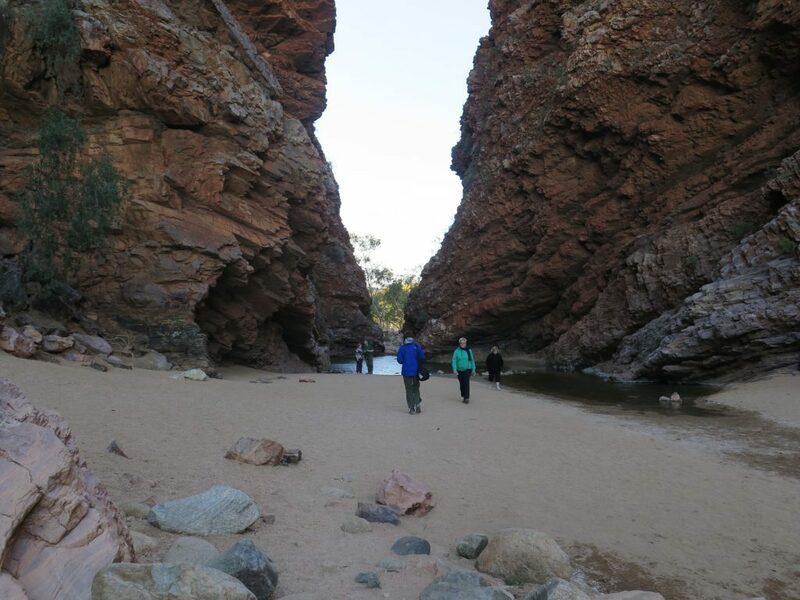 A visit to the chasm is still enchanting at any time of day and the opportunity to come across wildlife is second only to Ormiston Gorge in the West Macs. And I made it! 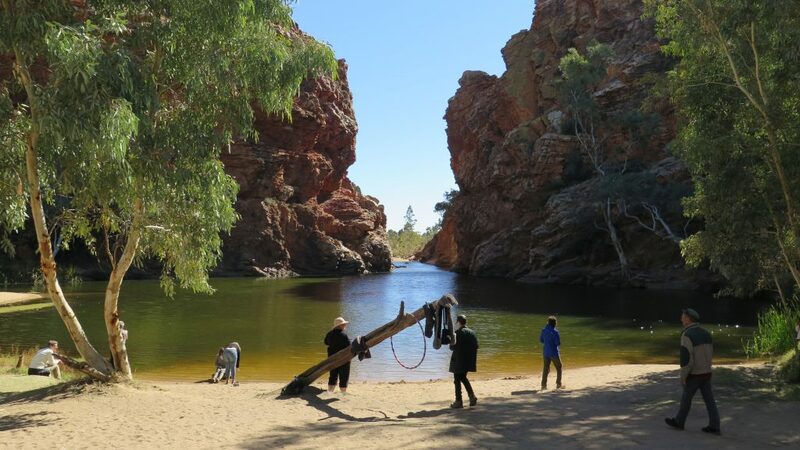 The next whistle stop was the beautiful Ellery Creek Big Hole, one of the most popular and picturesque camping, walking, swimming and picnic spots in the West MacDonnell Ranges National Park. 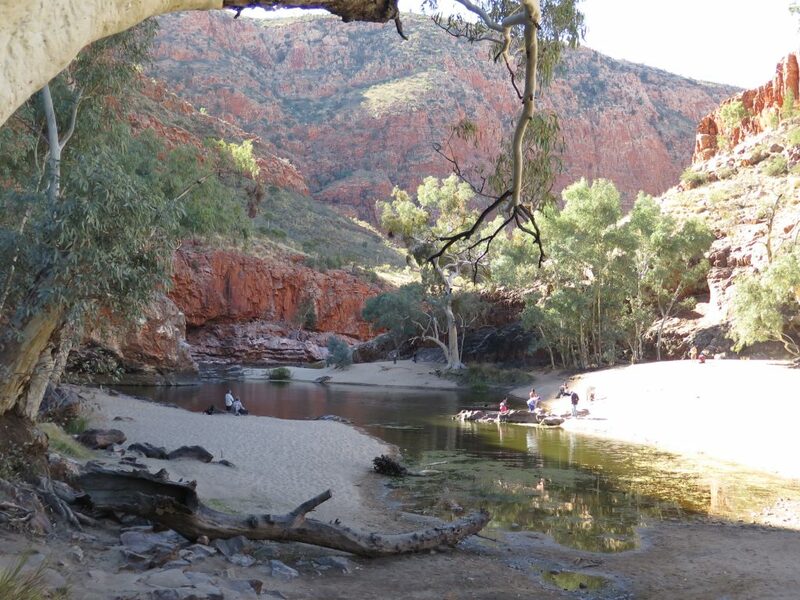 The spectacular waterhole is fed by the West MacDonnell Ranges (Tyurretye) and surrounded by high red cliffs and sandy Ellery Creek. 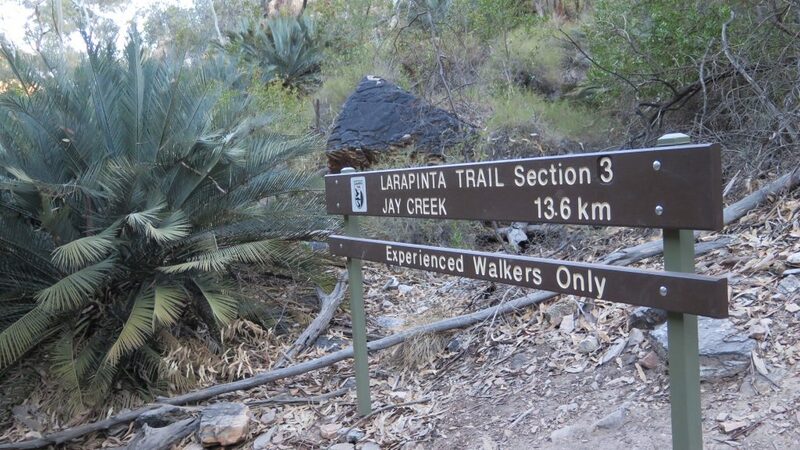 It is also at the trailhead for sections 6 and 7 of the 223 kilometre Larapinta Trail walk. Thousands of years of massive floods have carved out this waterhole, which is recognised as an internationally significant geological site. 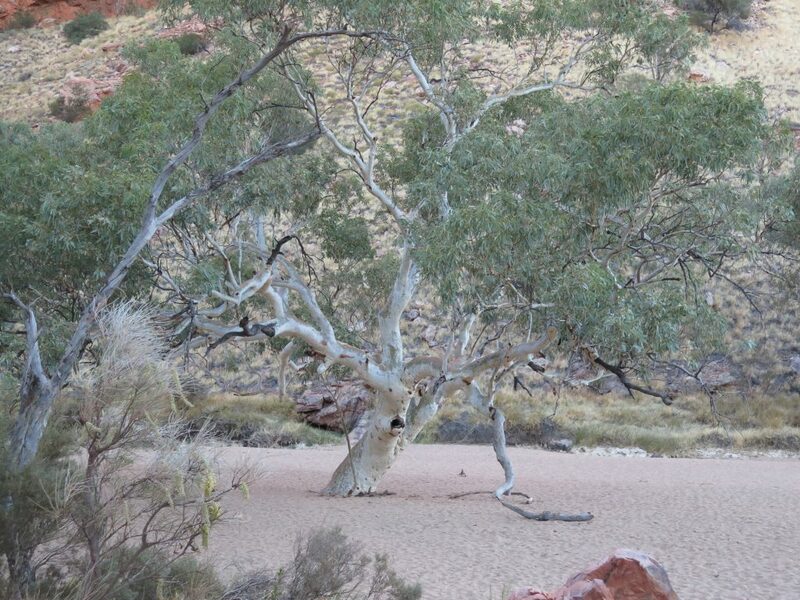 One can take the 3 kilometre Dolomite walk to see the surrounding formations. 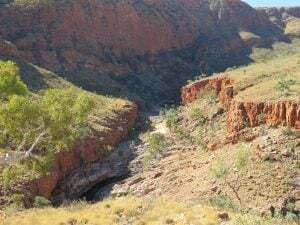 The Aboriginal name for Ellery Big Hole is Udepata. 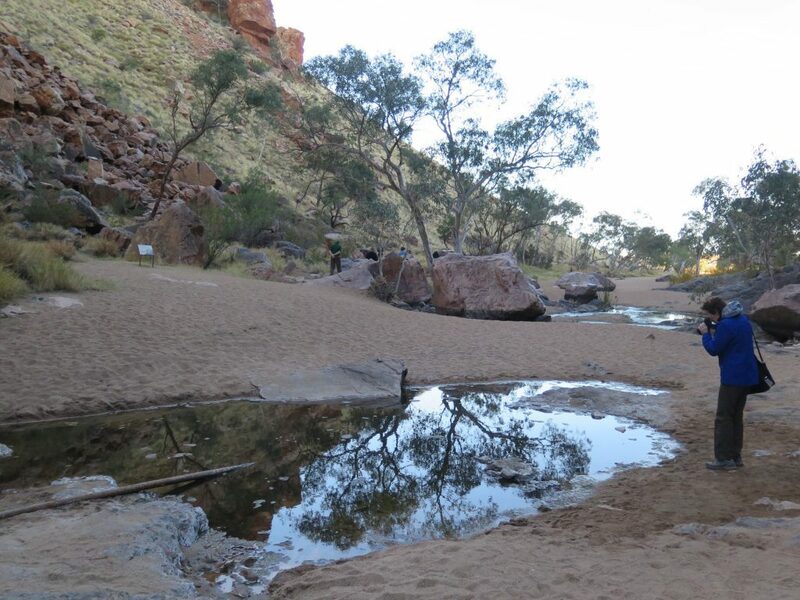 The permanent water made it a special meeting place for the Arrernte people on the fish and honey ant dreaming trails. 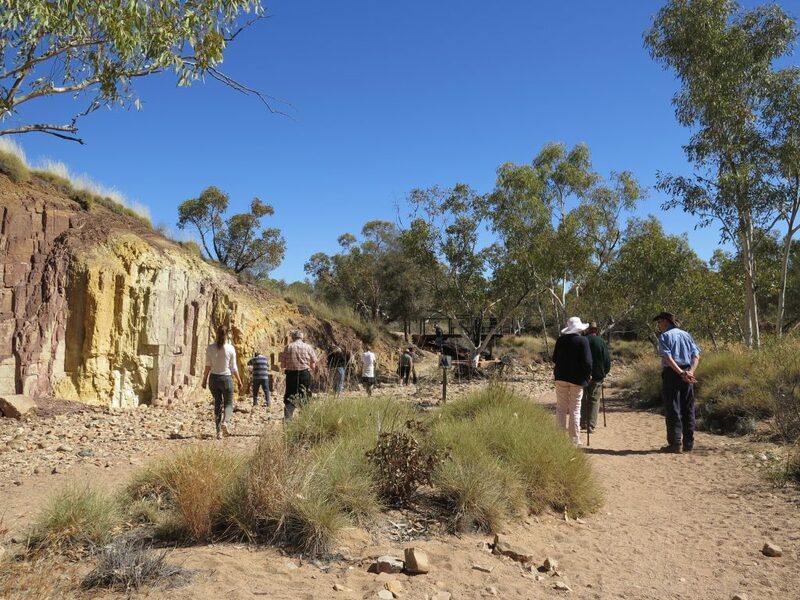 A quick stop before lunch was to be the Ochre Pits. 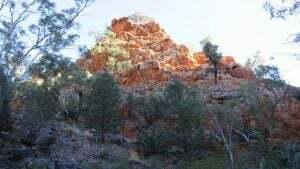 This is a registered sacred site and is protected by Sacred Site and Parks and Wildlife legislation. 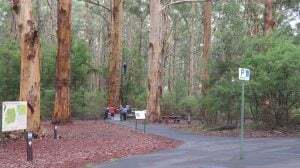 The site offers the unique opportunity for visitors to view an ochre deposit that is still used by local Arrarnta peoples. 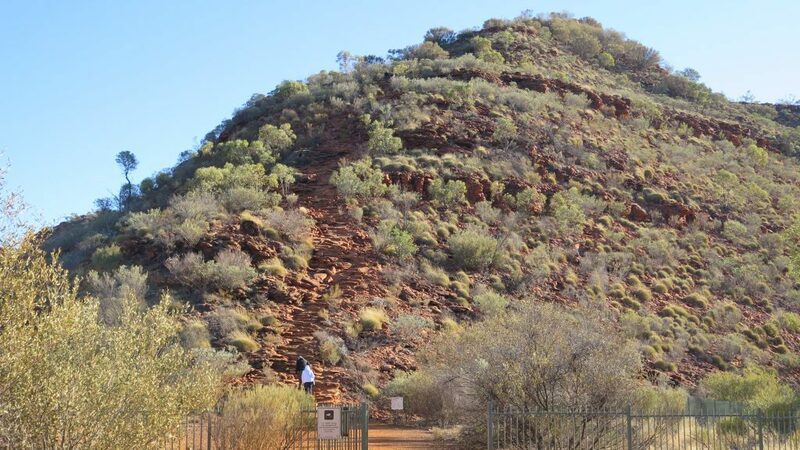 Visitors are asked to not touch or interfere with any of the ochre – severe penalties apply and the site is regularly patrolled by Rangers. 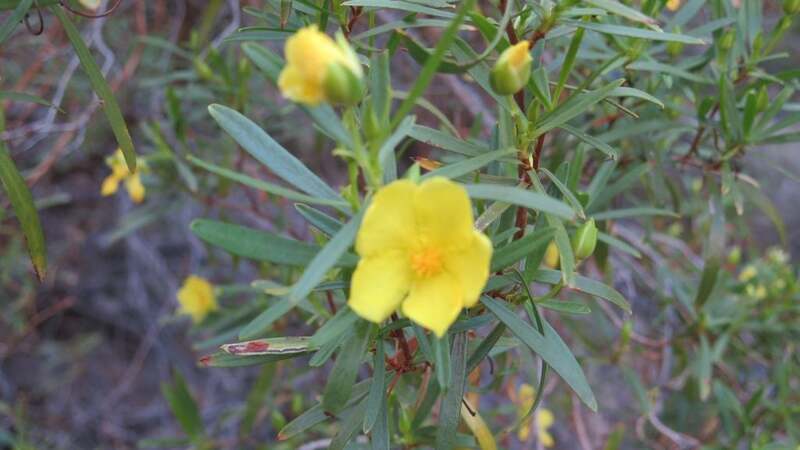 Ochre has been used all over the world for decoration and painting since pre-historic times. 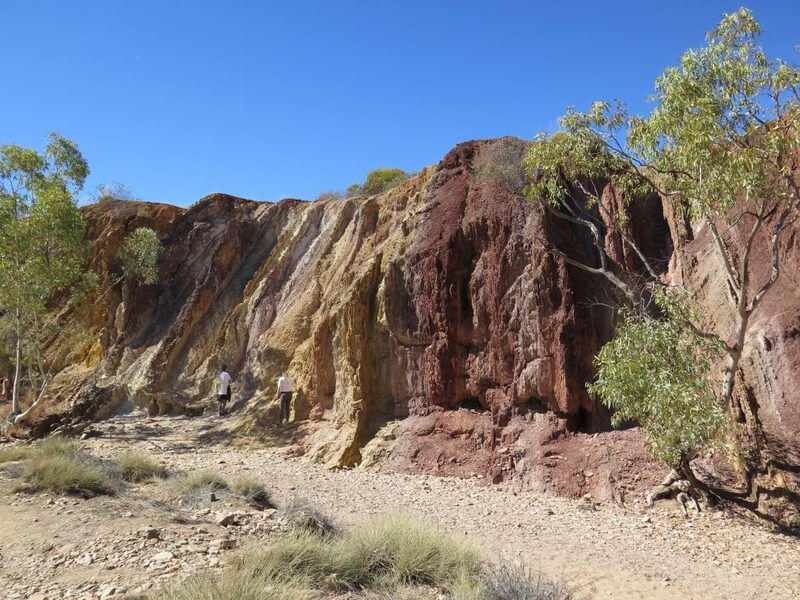 At this location you can see the natural ochres in the cliff face here have provided a source of materials for Indigenous peoples for thousands of years. And they still provide brilliant colours for modern man too, since their shifting hues make for some excellent photos. 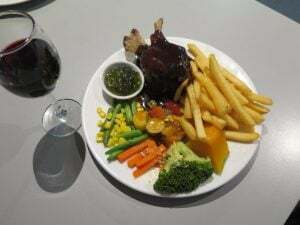 Our lunch stop today is at Glenn Helen Homestead Lodge, a large property where visitors can stay in a motel, camp, or park their caravan or motor home, a very busy place on the day we visited, and had a very nice buffet salad lunch, and a complimentary glass of wine. 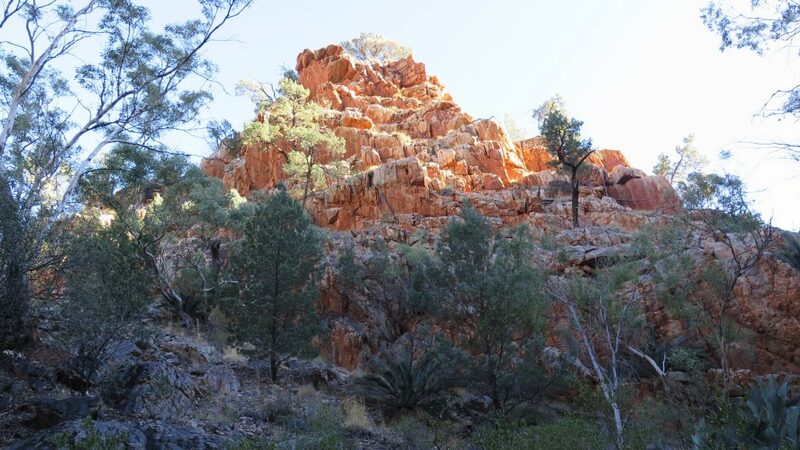 The story of Glen Helen is one of hardship and determination dating back to the explorers of the late 19th century. 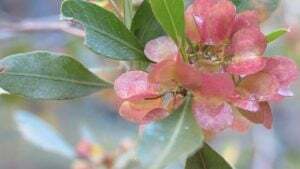 Following discovery the property was established as a cattle station covering a much larger area between what is now Redbank Gorge and Ormiston Creek. Despite the trials of life in the Central Australian outback Glen Helen endured the many setbacks and was eventually instrumental in bringing tourism to the West MacDonnell Ranges. 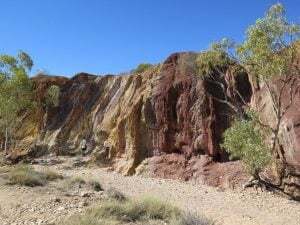 Soon it was time to head off to Ormiston Gorge that showcases the spectacular geology and landforms of the MacDonnell Ranges. 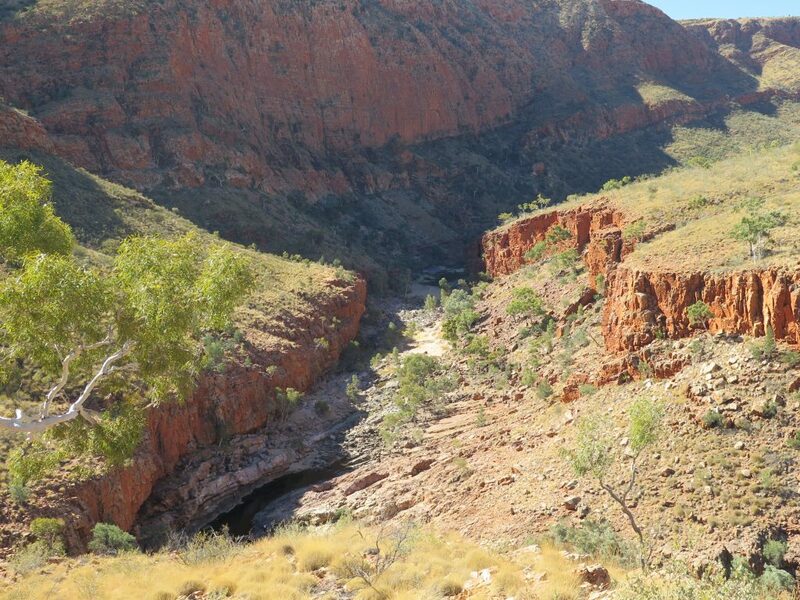 The Gorge has a near-permanent waterhole, estimated to be up to 14 metres deep at its southern end. 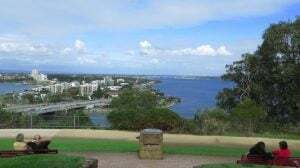 The area contains an interesting variety of native fauna and flora including a number of relict plant species remaining from a tropical past. 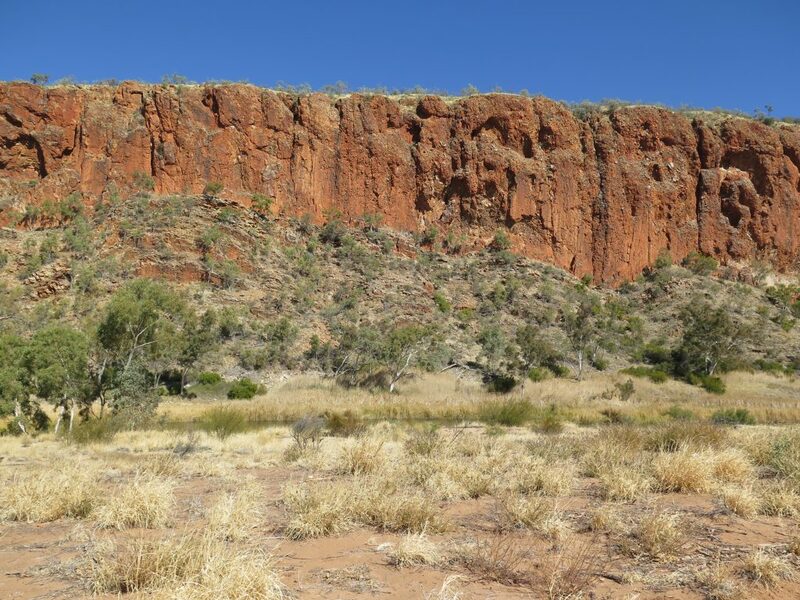 The rediscovery of the Longtailed Dunnart and the Central Rock Rat highlights the Park as an important fauna refuge. As we were nearing the turnoff to the Gorge we noticed smoke rising, and soon came across a sign indicating that the Rangers were burning off in preparation of the hot dry season yet to come. 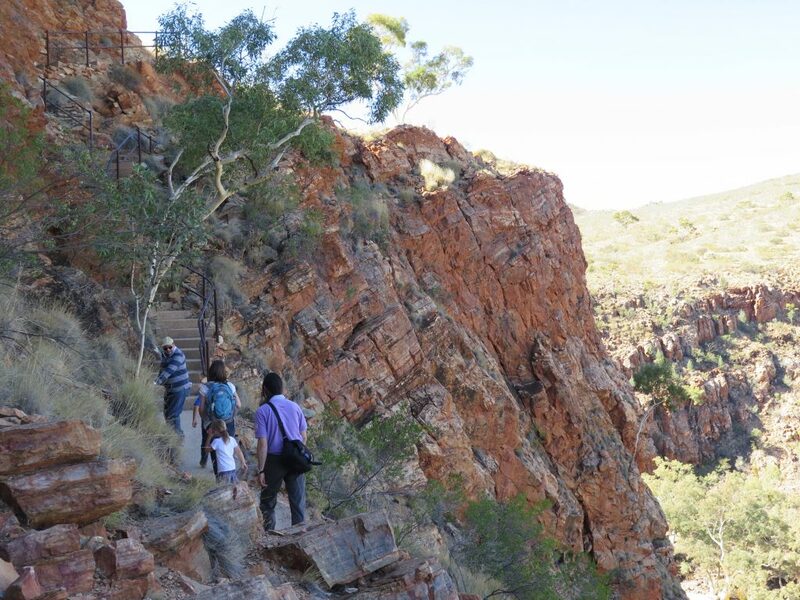 Once we arrived at Ormiston Gorge we were encouraged to do a climb (not too steep so they said!) 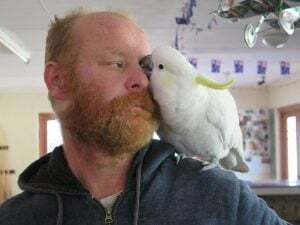 that would give us some glorious views over the valley, and into the Gorge and the Waterhole. 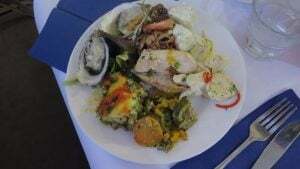 The climb was steep in parts, but with dogged persistence we finally made it to the top! 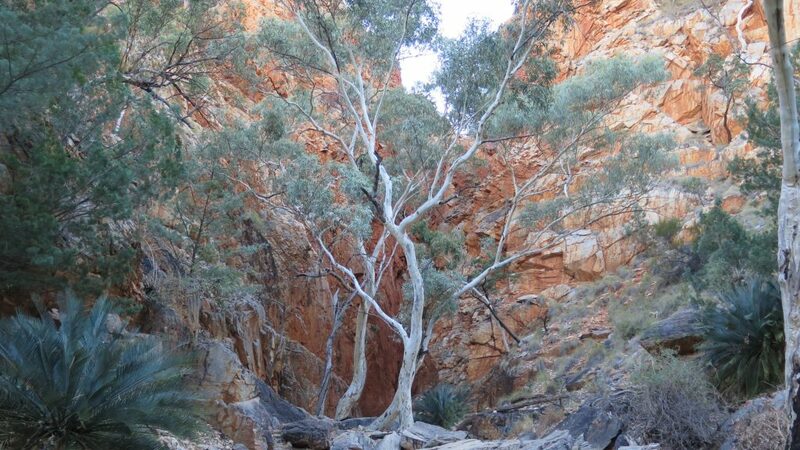 It certainly was a wonderful view down into Ormiston Gorge, and to the Waterhole below us. Once again we were gobsmacked with the colours of the rocks, and the fabulous vista below us. Our next stop was Simpsons Gap. 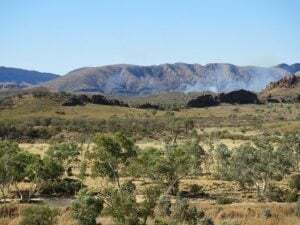 Located in the Tjoritja / West MacDonnell National Park, Simpsons Gap is one of the most prominent gaps in the West MacDonnell Ranges. 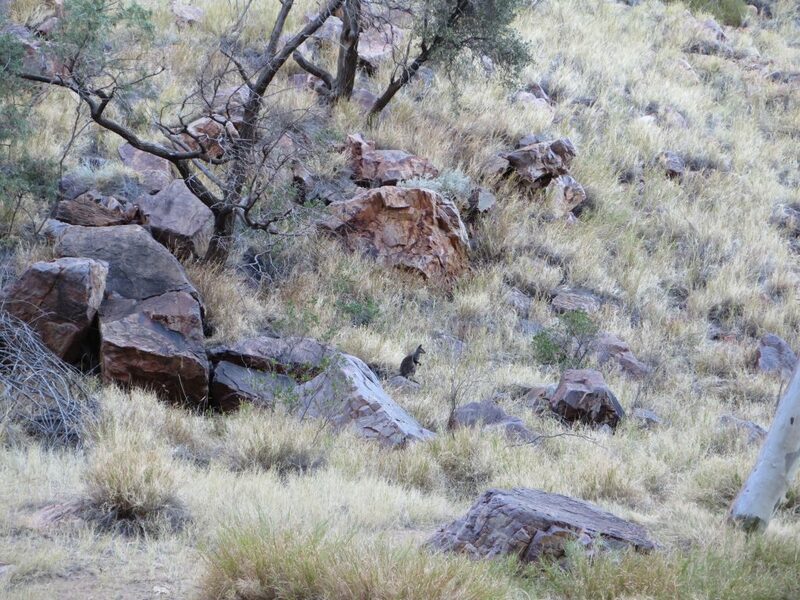 At dawn and dusk it is renowned as a place to see Black-footed Rock-wallabies along the short walking track into the Gap. The Simpsons Gap area incorporates large areas of Mulga and is a major stronghold for over 40 rare and relict plants. 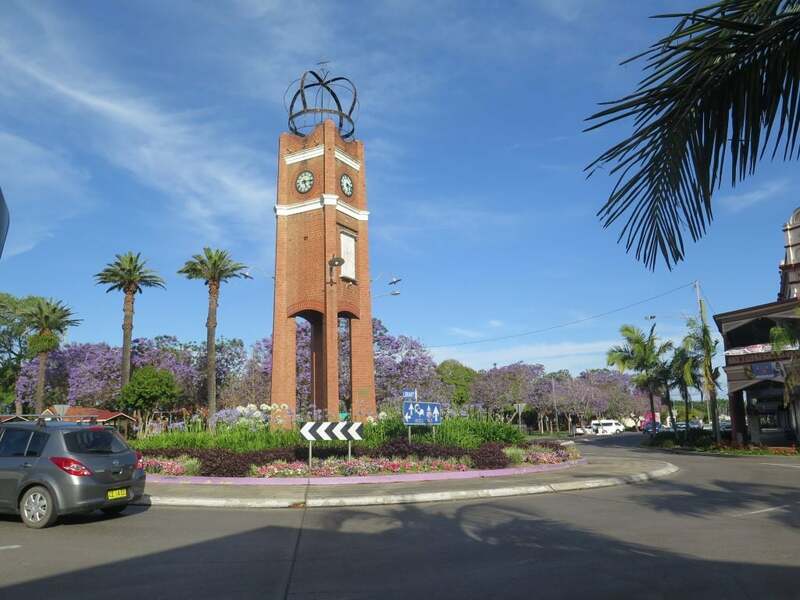 The area is an important spiritual site to the Aranda Aboriginal people, where several dreaming trails and stories cross. 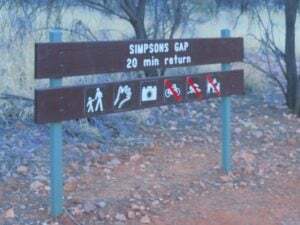 Our guide left our visit to Simpsons Gap until last, because late afternoon is the best time to see the rock wallabies who inhabit this area. They are hard to see, as they are quite dark and small, but we did spy one shortly after we entered the entrance to the Gap! He was a fair way away, but stayed fairly still for a while to enable a few photos to be taken, you can just see him in about the centre of the image below. Very cute – when he decided to leave he sped across the rocks and disappeared in seconds. 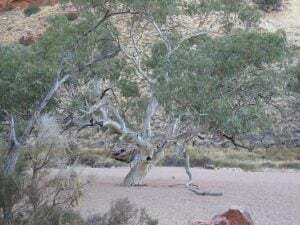 It was a lovely walk down to the Gap as the day was drawing to a close, you could either walk along the formed path, or along the dry creek bed, and the scene at the end was well worth the short walk. As we started to walk back to the coach, the setting sun cast shadows across the dry creek bed and formed some wonderful reflections. 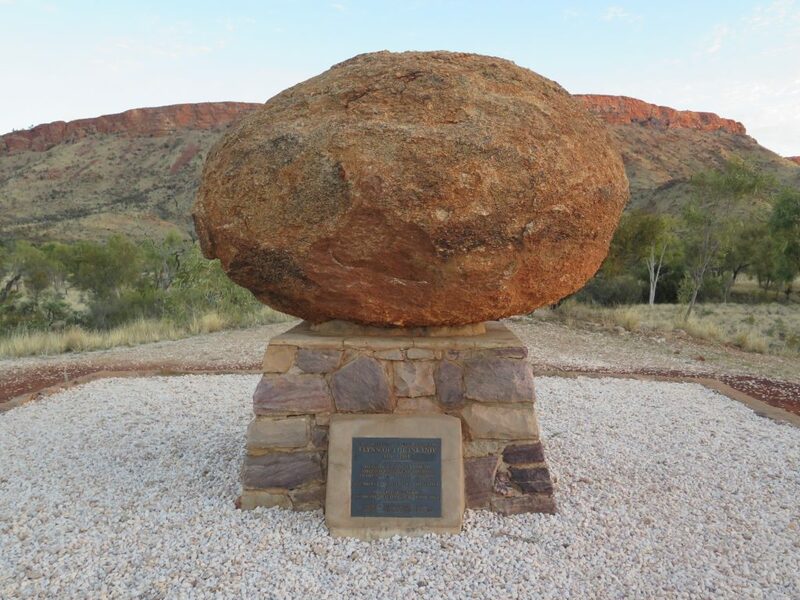 Reluctantly we left the beautiful Simpsons Gap to make our way back to Alice Springs, but there was just one more quick stop to make, and that was the grave of Rev John Flynn, founder of the Royal Flying Doctor Service. 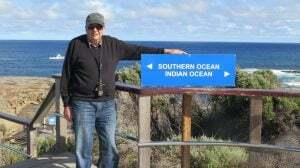 Tomorrow will be our last tour from Alice Springs before we reboard the Ghan for the trip to Adelaide, and home. 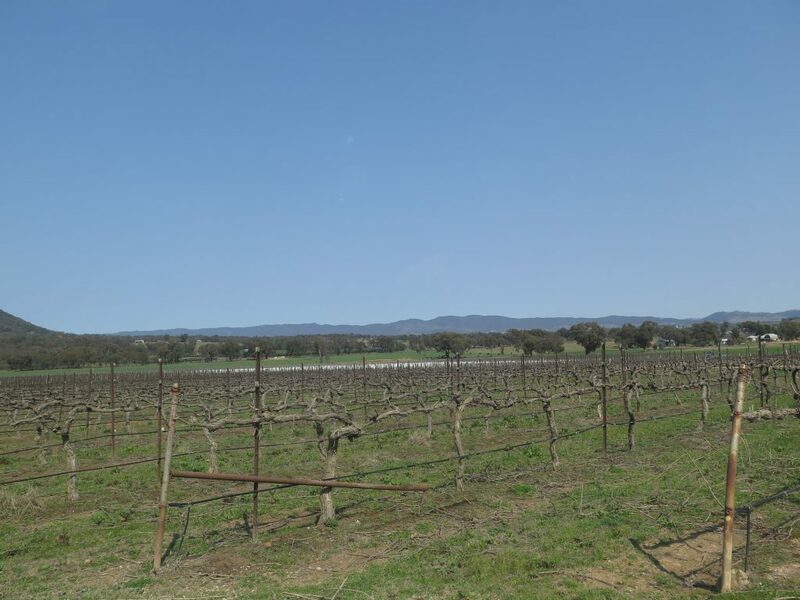 Our tour tomorrow will take us to Palm Valley.